The Tubac Festival of Arts has been showcasing local art for 60 years. Tucson’s festivals, fairs, and outdoor events are part of what make it one of the best cities in the Southwest. From cultural events to urban street festivals, locals can enjoy a full calendar of activities throughout the year. This short guide explores some of the best festivals and events to check out in Tucson, Arizona this year. On the second Saturday of each month, Downtown Tucson comes alive with music, food, shopping, and other activities. This urban street festival is held along Congress Street and Scott Avenue, making it easy for residents to stroll through downtown while shopping from local vendors, grabbing a bite at food trucks, and watching live music performances. If you missed a previous event, there are still plenty of opportunities to attend. 2nd Saturdays Downtown is held regularly throughout the year. 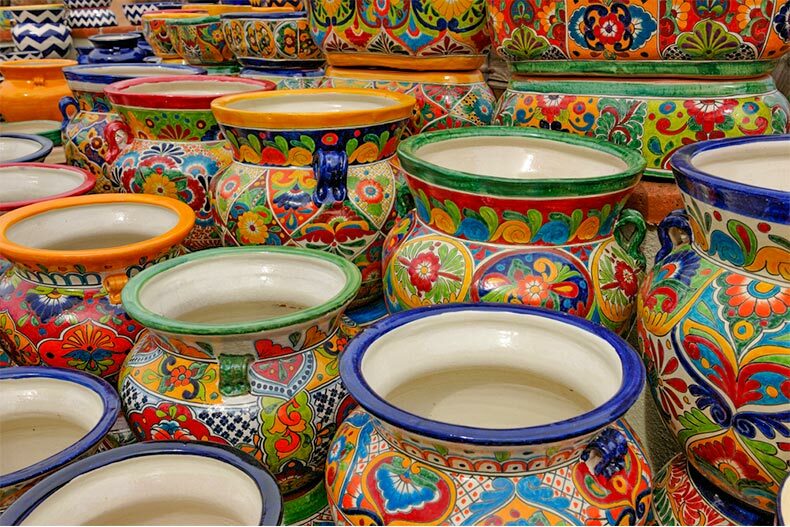 For art lovers, the annual Tubac Festival of the Arts is a must-visit event. Now in its 60th year, it is Arizona’s longest running festival of its kind. This yearly event is held in the charming village of Tubac, which is about 45 minutes from Tucson. Tubac was known as an art colony in the 1930s, and it still maintains a thriving arts scene. This annual festival adds to the community’s artsy appeal. More than 200 artists will be participating in this year’s event, allowing guests to view a diverse selection of works and purchase one-of-a-kind pieces. Visitors can also enjoy a drink in the beer garden, grab a bite at one of the unique food vendors, and stroll around Tubac village while enjoying live music. Experience the sights and sounds of Chinese culture at the Chinese Year of the Pig Celebration. Held at the Tucson Chinese Cultural Center, this event will celebrate the Lunar New Year with performances, arts and crafts, and more. The Tucson Gem, Mineral & Fossil Showcase is one of the most anticipated events for geology enthusiasts, and it is Tucson’s largest public event. Whether you’re an experienced or novice collector, this world-class festival is sure to impress. Every year the Tucson Gem, Mineral & Fossil Showcase brings together thousands of people who come to admire rare rocks, minerals, gems, fossils, and more. The event is so large that it actually consists of over 40 different shows at various locations throughout Tucson. With free seminars, handmade jewelry, and rare collectibles for sale, this festival offers a full schedule of activities for rock and fossil fans. At the Cruise, BBQ & Blues Festival & Car Show, attendees can enjoy live music and classic barbecue food, while admiring a fantastic selection of classic automobiles. Celebrating the art and science of car design, this event will also feature over 20 types of auto awards, including Best of Show, Best Engine, and more. This exciting community event is expected to draw thousands of people. The annual La Fiesta de los Vaqueros is one of Tucson’s most celebrated events. It has been held every year since 1925, making it one of the longest-running rodeo competitions in the world. This action-packed event is centered around the Tucson Rodeo, allowing spectators to watch cowboys and cowgirls compete in different rodeo performances. Each year, participants and fans from around the world flock to Tucson for this exciting event. With bull riding, steer wrestling, barrel racing, and more, there’s never a dull moment. The event also includes the Tucson Rodeo Parade, which is known as the longest non-motorized parade in the world. It regularly attracts well over 100,000 spectators who come to see Mexican folk dancers and western-themed floats. This gathering of international talent showcases some of the most innovative works in independent film, from documentaries to experimental animation. Since it began, the Arizona International Film Festival has showcased over 2,800 films. Now in its 28th year, the festival will continue to delight audiences by exhibiting works from international filmmakers. This popular event was recently named the “8th Best Festival in Arizona,” and this year’s festival is sure to live up to its reputation.